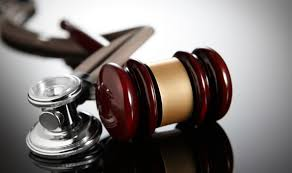 Arnold Law, LLC: Sloppy Medical Practices. The days of “oh no, we operated on the wrong body part” are NOT completely over. Surgical errors still occur every day in this country. Something as simple as the surgeon operating on the wrong vertebra just because the X-ray was not completely clear is still a very real scenario. Here is a more common mistake…is the procedure being done the correct one in the first place? This statistic may shock you. In a survey taken over 12 major U.S. cities, it was discovered that nearly HALF of all patients did not receive the recommended care for their particular condition(s)! Every body is different. Operating rooms are not supposed to be assembly lines. Because of the fear of malpractice some mistakes are made out of omission rather than commission. It all adds up to this…medical malpractice is still rampant even in our modern health care facilities. Always ask your doctor ahead of time to give you details on your treatment step-by-step. If something occurs that just does not seem right, please contact Baltimore area medical malpractice attorney Briana Arnold. You can reach her for thorough and confidential advice at (410) 484-1400.